Let’s see…I did a minimal amount of housework this morning…then I started piddling around with some quilting projects. I’ve been a project hopper today…hopping between three different projects. I got some fabric washed and loaded for some pillow shams for my cousin, but somehow just couldn’t get in the mood to do the quilting. Felt more like piecing. I’ve gotten the first border added to the lighter version of my 9P & stripe quilts, and I’ve made really good progress on the log cabin blocks the last few days. At least I will have some stash busting to report tomorrow. Speaking of hopping…I wasted a lot of time today being distracted by these guys. 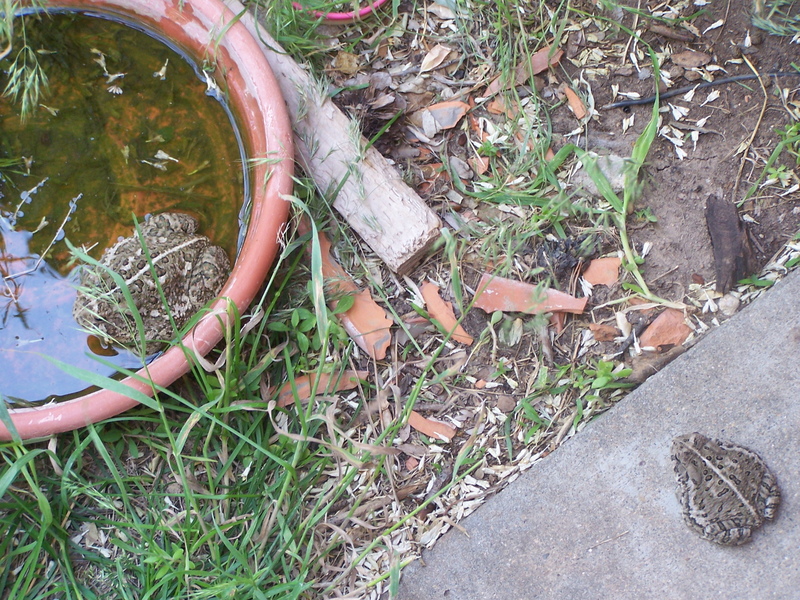 This is the little one…apparently these flower pot bottoms make perfect mini-ponds. “Awwww…this is the life”, he says. 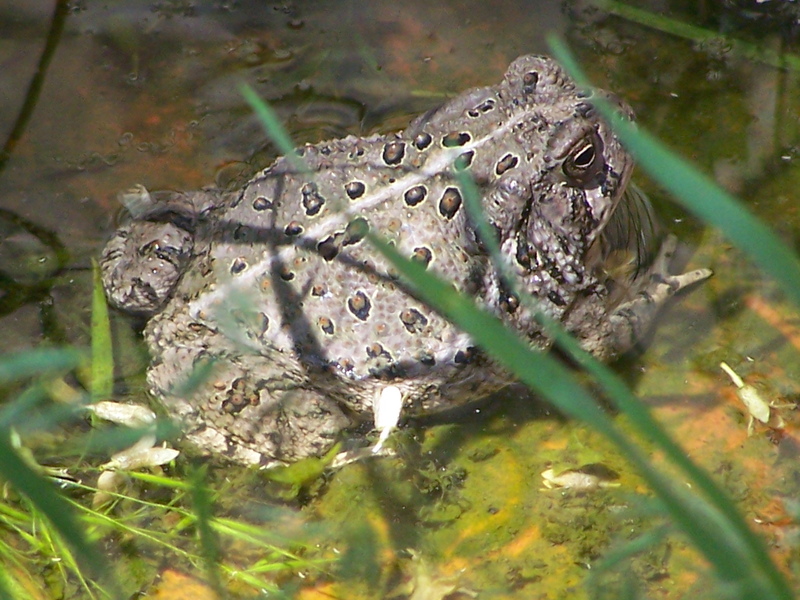 This is the BIG toad. 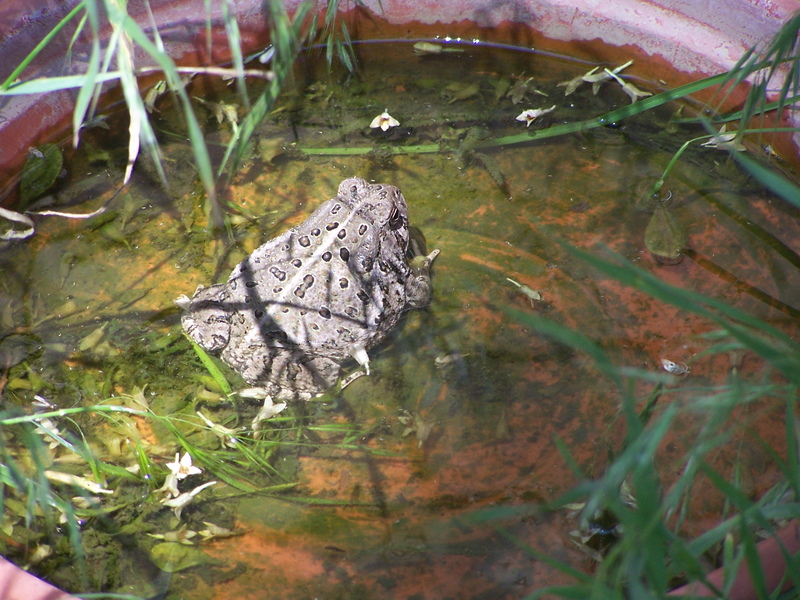 And the little one says, “Sure, go ahead…take a dip in my pond”. 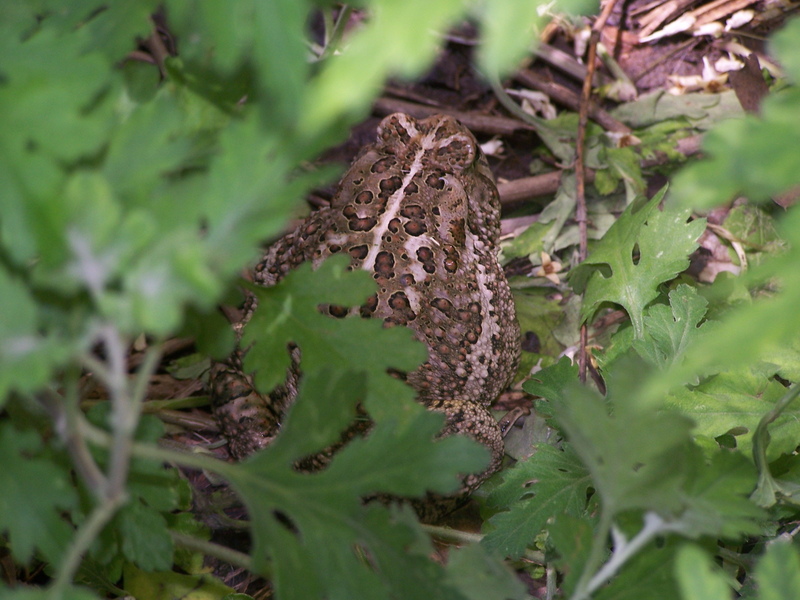 And then we found this guy…look at those legs…this one can JUMP! 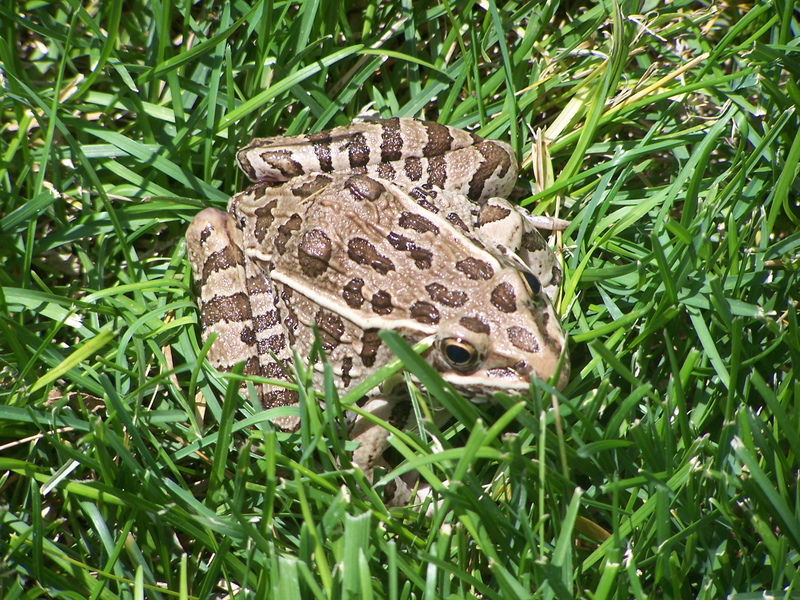 Really far…He is about the same size as that big toad. I guess he is some kind of frog…??? Hope your weekend is hopping along nicely, too!